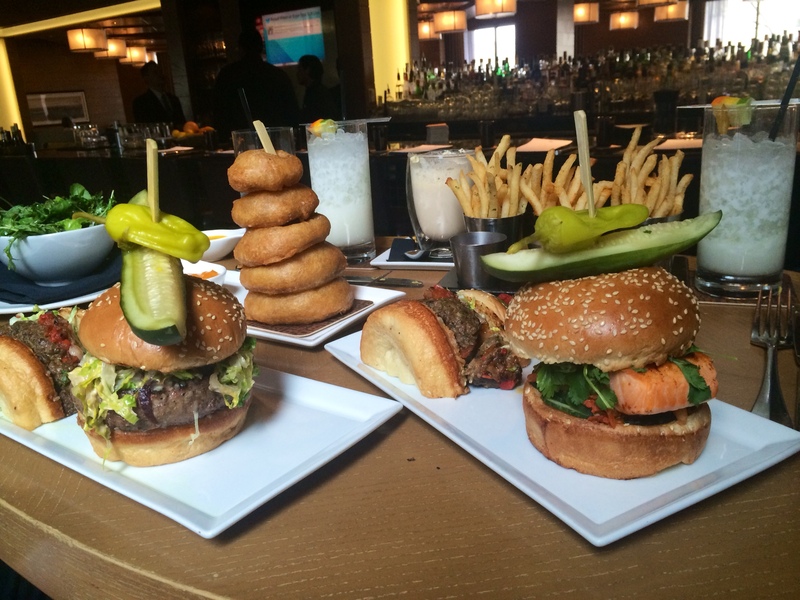 Sure, Bourbon Steak Lounge is synonymous with face-melting, make-you-scream-for-your-momma-they’re-so-good burgers. Put it this way, we’d rather have a Bourbon Steak Lounge burger than stock in Shake Shack. But there’s something even better (and brand new) lurking on the lounge menu – The Best Thing on the Menu: Pulled Pork Pop-Tarts served with Carolina BBQ sauce and gherkins. Bourbon Steak Chef Joe Palma takes 20% of the fun out of it by explaining that pop-tarts are really just flat empanadas. He ruined our fantasy that these would would one day be available to purchase from Kellogg’s for daily, in-home consumption. 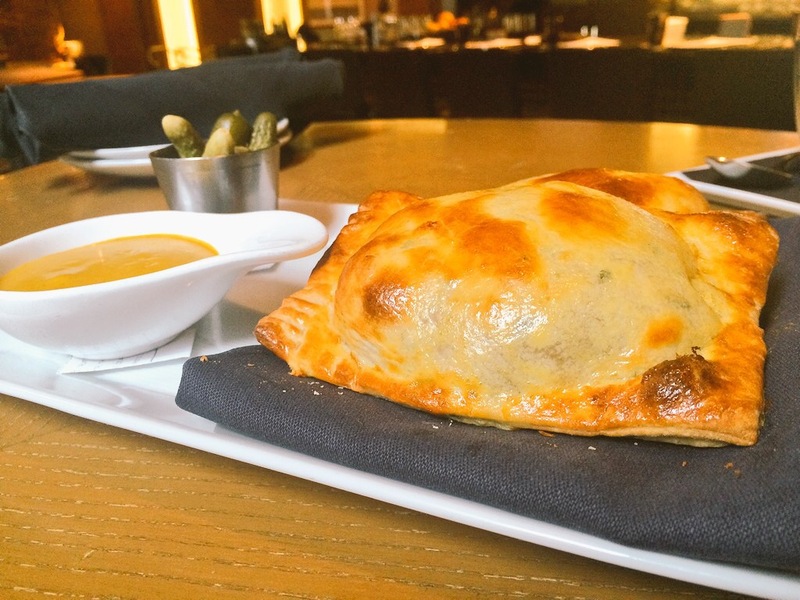 Alas, to Bourbon Steak Lounge we’ll head for round after round of these warm, flaky wonders filled with bright yellow meatsies thanks to the mustard component of the sauce. Order them alongside an expertly crafted cocktail from bar genius Duane Sylvestre. Fortunately (like Kellogg’s) an order of pop-tarts only comes with two pastries, leaving you belly room to tackle one of those epic burgers we mentioned. Feel free to explore all of the options, but don’t overlook the original oak-fired prime steak burger with house pickles, cabot clothbound cheddar and secret sauce. The Korean barbeque burger packs a punch thanks to heat from kimchi and gochujang sauce. Just don’t expect a patty made from minced salmon. You get a whole salmon filet instead, eschewing dryness and creating an adorable juxtaposition of a rectangle tucked between two round buns. Obviously, you’re also getting the duck fat fries with a trio of dipping sauces. Bourbon Steak Lounge is located inside the Four Seasons Hotel Washington at 2800 Pennsylvania Avenue NW. Pulled Pork Pop-Tarts not your BTM? Share your favorites in the comments section.